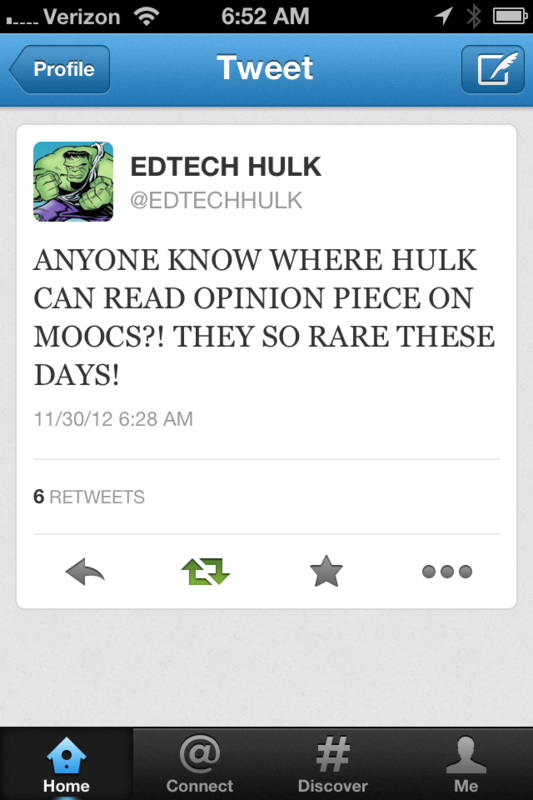 Obviously I began following @EDTECHHULK as soon as I saw his tweet this morning. 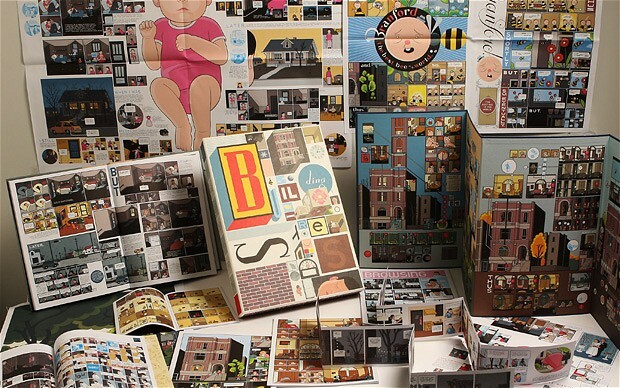 If you loved Jimmy Corrigan, if you are the kind of person who reads the Printculture blog, if you are a human being with a soul, turn off that commentary on the election and put down that other book you’re reading right now and pick up Chris Ware’s Building Stories. It looks like this, it makes a better bedmate than most people do, (though it’s not as warm and there’s the issue of papercuts to consider,) and it will give you hope for the future of print media. Hey, I just met you, and this is kooky, but here’s my number! Tongue Labouti!